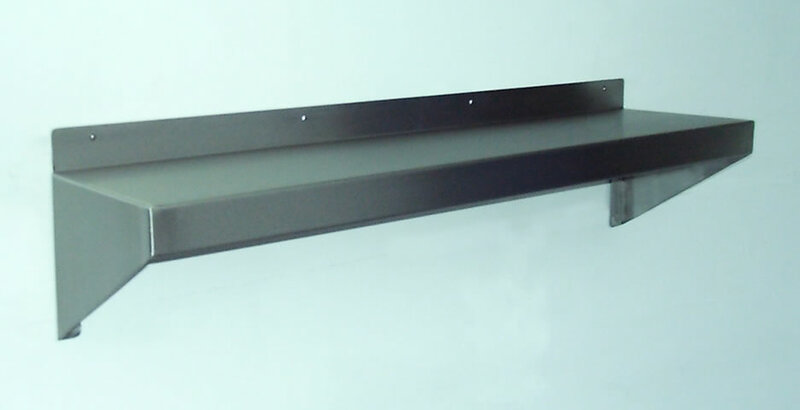 A heavy duty wall mounted shelf designed for catering applications, standard width is 300mm with integral wall fixing brackets at approximately 1000mm centres. The standard sizes are available for delivery in about 10 working days from order with free packing and carriage to the UK Mainland on orders over £250.00 + vat. Non standard sizes are also available, delivery time for these is also about 10 working days.